Weird, I was just thinking about this album today but dreading searching around the house for it. You probably just saved me a few hours work. You are very welcome. 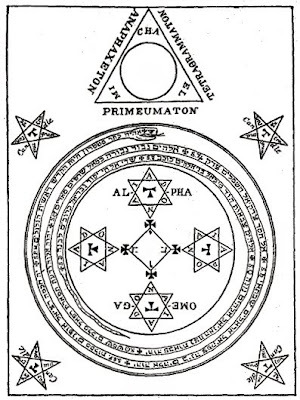 Magic triangle and spell casting diagram also included for your convenience. If you have claim to something and want it removed please contact me. I can be reached at sufferforaworldofsilence@gmail.com. Please include "silence" in the subject. Mediafire ate some stuff. Leave a polite comment and I'll re-upload it when I get a chance. I will only re-upload items that are of interest to people.